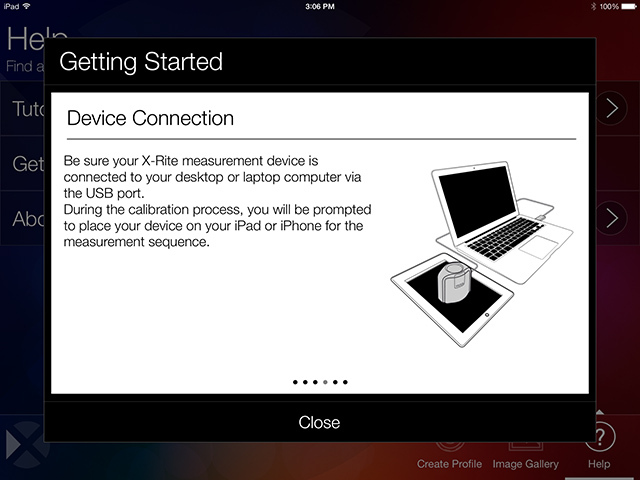 Please note that a supported X-Rite measurement device is required for the calibration process. So, you think the color on your tablet or phone looks pretty good, right? Try this. Hold your portable device up next to your desktop. Are your colors too pumped up or have they lost the level of saturation you expected to see? Are your shadows blocked up? Do your images look different on your tablet compared to your desktop? 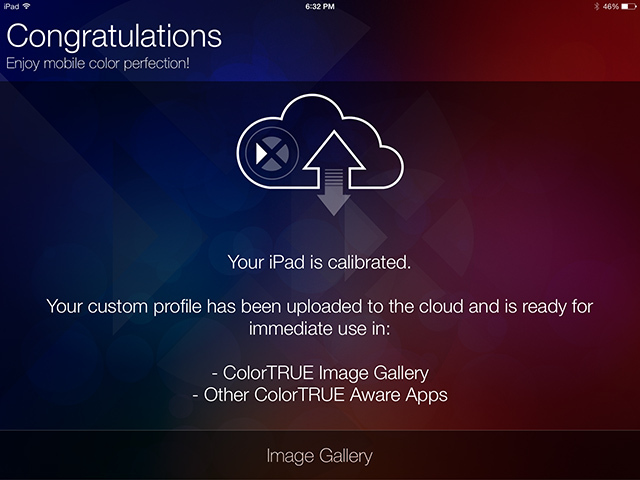 If you answered yes to any of these questions, then it’s time to calibrate with ColorTRUE– the new color management app that delivers true tablet-to-desktop screen matching (from the leader in color calibration and profiling, X-Rite Pantone). Now you can show your photos with absolute confidence knowing they are color accurate. The process is incredibly simple. 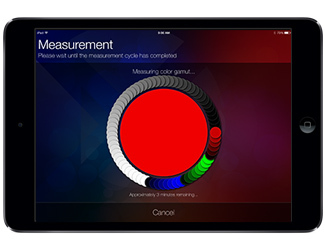 Using a supported X-Rite measurement device*, ColorTRUE quickly and easily measures the color of your Apple® iOS or Android® device, creating a custom profile. This profile is then automatically applied to your images in the ColorTRUE Image Gallery (which are seamlessly linked to your existing albums). Now all your images are displayed accurately! With ColorTRUE, you can be assured your images are showing their TRUE colors. Unlike your laptop or desktop operating system, iOS and Android operating systems do not have system wide color management capabilities. 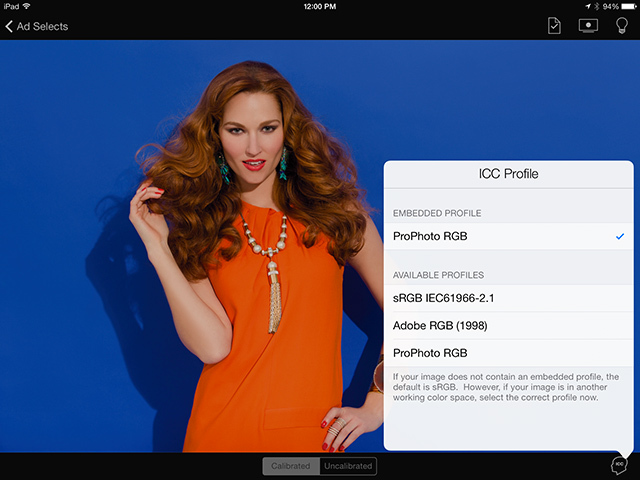 Therefore, each app must apply color profiles individually. Through X-Rite’s ColorTRUE Aware Partner Program, we are collaborating with other app developers to allow them to seamlessly access your ColorTRUE profile within their app by using X-Rite’s mobile color management software development kit (SDK). 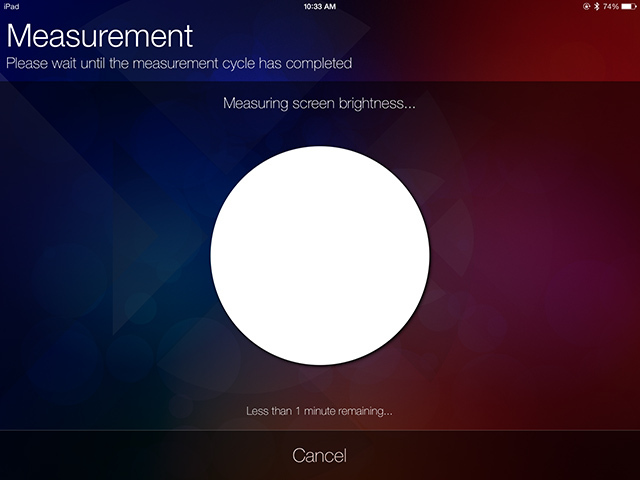 This way, any ColorTRUE Aware app can display colors accurately and consistently. So help us spread the word by telling your favorite app developers you want them to be ColorTRUE Aware! App Developers: visit xritephoto.com/colortrueSDK to request the ColorTRUE SDK. Perfect Color. Anywhere and Everywhere. Perfect color. For color perfectionists on the go. Mobile phones and tablets aren’t perfect. They may not display the colors in your photos as accurately as you’d like. Their colors can drift over time. The backlight may be way too bright. And changing ambient light conditions during different times of day or in different locations will affect what you’re seeing. Mentally compensating for an uncalibrated mobile device is nearly impossible, and at the very least is incredibly frustrating. What you see on your mobile screen(s) should match your laptop or desktop screen. With ColorTRUE, now it’s easy! In our world, color perfection is not too much to ask for. 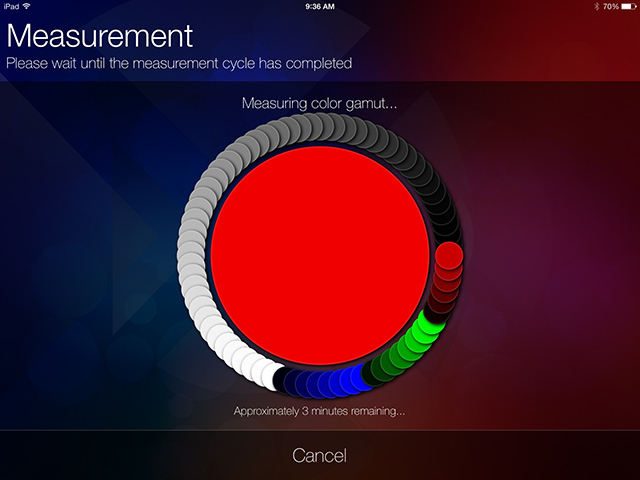 ColorTRUE delivers unrivaled mobile on-screen color accuracy and is incredibly easy and fast to use. As soon as you set a supported X-Rite calibration device on your screen, ColorTRUE begins its true magic delivering a custom profile in minutes! ColorTRUE comes equipped with an incredible image viewer. 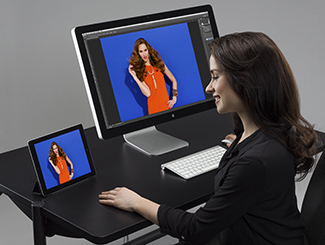 With its unrivaled features, you’ll obtain a true mobile-to-desktop screen match so you can confidently show your photos knowing they are color accurate. Before and After – Toggle back and forth to instantly see how calibration improves the color accuracy of your mobile device. You’ll be amazed at the difference in your color- corrected image. Ambient Light Compensation – Both your surrounding ambient light condition (that can vary by location and time of day) as well as your screen brightness affect the way you perceive color and contrast on your mobile device. ColorTRUE allows you to adjust to any lighting condition and automatically monitors the screen brightness setting, factoring it into the ambient light compensation adjustment. So go ahead, increase or decrease the brightness level of your tablet or phone and ColorTRUE will make sure the appropriate compensation is applied -- automatically. White Point – In order to minimize the color difference between your mobile device and your desktop or laptop display, it is important to use the same white point setting across all of them. ColorTRUE provides three white point settings - choose between D65, D50 and Native. "It only makes sense that X-Rite would be first to the party with a super-easy mobile calibration solution that really works! ColorTRUE gives me the confidence that what I'm seeing on my iPad will match the corrections that I've made on my professional i1Display-calibrated and profiled desktop displays. And the best part is... ColorTRUE uses my existing hardware." "My iPad has both my portfolio and all of my favourite pictures. When I show my friends and particularly my customers, I want to show them color accurately. ColorTRUE is very easy to use and has a simple way to calibrate the device and work with calibrated images using the gallery. The proofing preview function is very useful so we can emulate what an image will look like when printed, and I can’t understate the importance of being able to view images within different colour spaces, not just sRGB. ColorTRUE is the only way photographers can be sure of accurate colour on their mobile device." "It's great to add some precision and predictability to the viewing of my images on my iPad. It already gives good looking images, but previously, you were never sure quite how accurate they were." 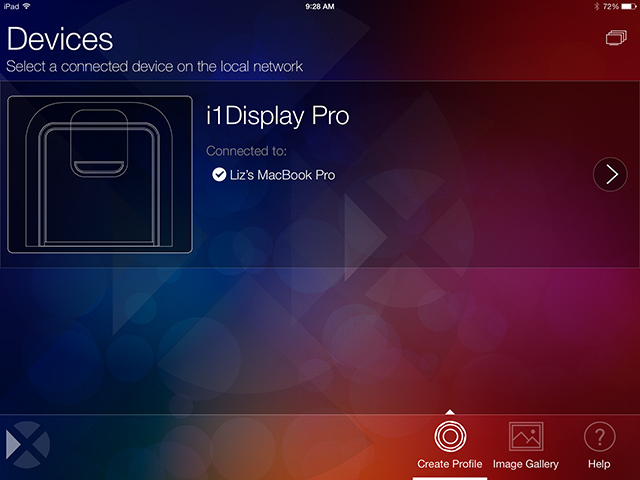 "I think the application fills a significant gap in my colour management workflow, as I profile my camera, my monitors, and my printers, but have been unable to profile my iPad. It’s also a simple and straightforward process, using my existing X-Rite app, and device through a wireless connection."